The Ukrainian Border Service at the Dovzhanskyy post have a mascot. Her name is Zhuzha. In the beginning of July, Zhuzha made her way into their camp looking for food and shelter. Unbeknownst to the guard, Zhuzha has a spectacular talent: up to 30 minutes in advance, the pup can detect mortar fire and warns the troops of the incoming barrage. 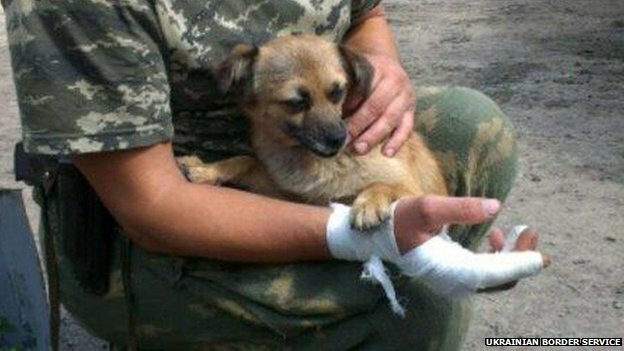 One soldier in article credits Zhuzha for saving his life on three occasions. Zhuzha alerts her caretakers by barking and tries to herd them inside away from danger.